JRI Orthopaedics’ pioneering uncemented hip implant system has been awarded the highest rating by ODEP – the Orthopaedic Data Evaluation Panel – in recognition of its clinical performance. The multi-award-winning company has received a 13A* rating – the highest possible award – from ODEP for both its long-established Furlong® Uncemented H.A-C coated hip stem and CSF® cup. JRI Orthopaedics was the first company in the world to produce a hip implant with a Hydroxyapatite (HAC) coating enabling a biological bond with the patient’s bone and so the prospect of a hip for life. The Furlong HAC stem was launched in 1985 and is now one of the leading uncemented hips on the UK market. It is one of only six such products to be given the gold standard 13A* rating by ODEP. ODEP independently assess whether orthopaedic products have reached quality performance benchmarks in accordance with the National Institute for Health and Care Excellence (NICE) guidelines for survivorship of total hip replacements. John Suggitt, senior product manager at Sheffield-based JRI Orthopaedics, said: “ODEP ratings provide a simple, independently verified assessment of the strength of evidence of an implant, assessed against national clinical best practice guidelines by an independent panel of experts. “We are absolutely delighted to have received the highest 13A* rating for the Furlong® HAC hip stem and CSF® Acetabular Cup. “Only six uncemented stems and cups have 13 A* ratings and so we feel very proud to be part of such an exclusive club of excellence. ODEP award ratings for clinical evidence at three, five, ten and now 13 years of total hip, knee and shoulder replacement products. JRI Orthopaedics’s next generation uncemented hip replacement system, the Furlong Evolution®, was launched in 2012 and has just received an ODEP 5A* rating – the highest award after five years of impressive clinical evidence. John added: “We manufacture and supply products that provide the best solutions for joint replacement, repair and reconstruction allowing patients to have a better quality of life for longer. JRI Orthopaedics has world-class expertise in the design, development and manufacture of a portfolio of orthopaedic implants and systems which deliver the best solutions in joint reconstruction, repair and regeneration. The company, which employs over 100 people at its showcase manufacturing facility in Chapeltown, has internationally recognized research and development capabilities. 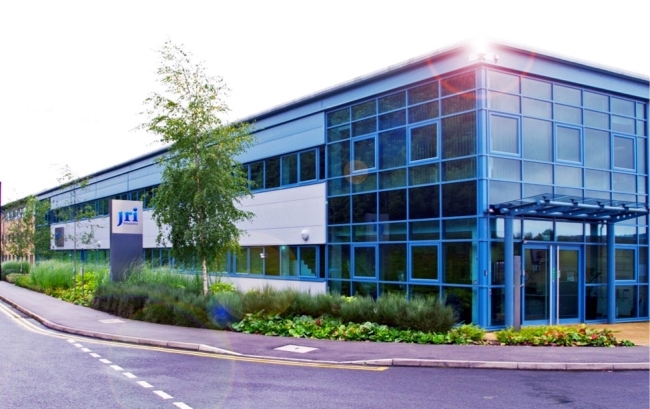 Earlier this year JRI Orthopaedics was acquired by China’s leading orthopaedic implant company AK Medical in a £16.7M deal. The company, which was wholly owned by the charity Orthopaedic Research UK (ORUK), is now part of one of the world’s largest 3D-printed orthopaedic implant manufacturers.